030618 The funeral of Jack Kenneally at Ennis Cathedral today.Pic Arthur Ellis. “I wish it was a bad dream”, the devastated father of Jack Kenneally told mourners at Ennis Cathedral as the teenager was laid to rest on Sunday. 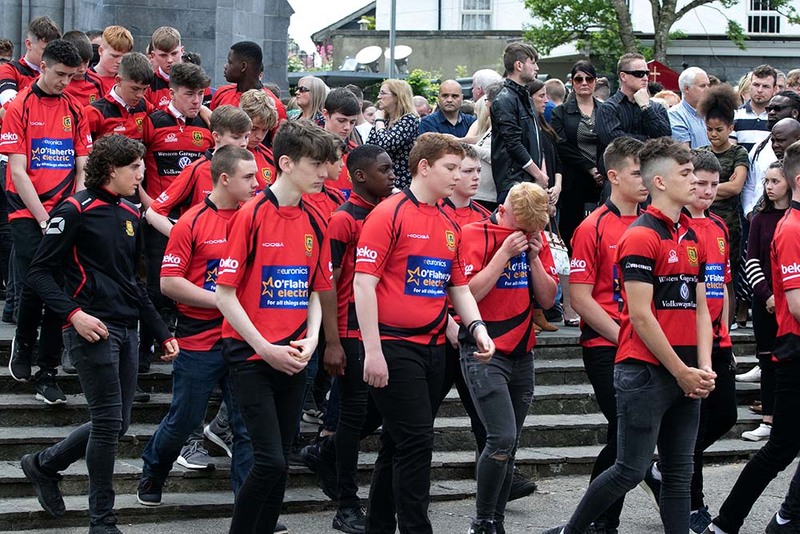 Hundreds of mourners packed the church to say their last goodbyes and to pay tribute to the talented rugby player who along with his friend Shay Moloney tragically lost their lives in a swimming accident at Knockanean on Thursday. Jack’s father Sean, surrounded by his daughters for support, emotionally spoke about the “sense of shock and disbelief” that the family have felt while trying to come to terms with the tragedy. He thanked everybody who has supported the family in recent days, and all emergency services and rescue workers who helped in the search for the boys. Following the funeral mass Jack was laid to rest at Drumcliff cemetery. He is survived by his parents Sean and Tina, sisters Danielle, Katie and Aisling. 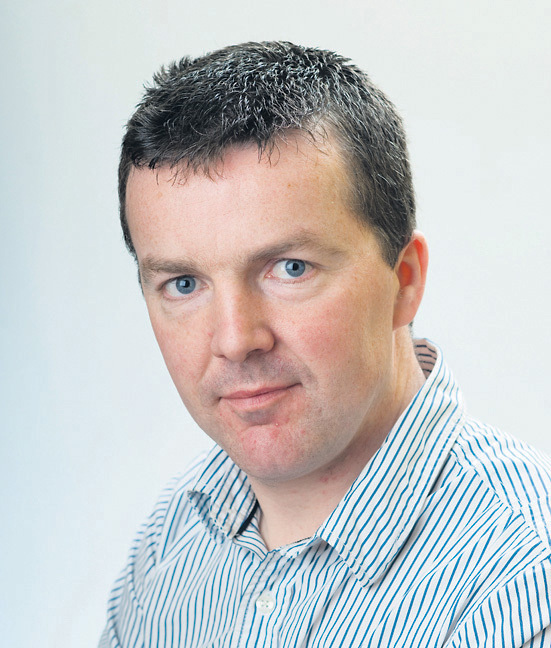 Shay’s funeral mass will take place on Monday at Ennis Cathedral.